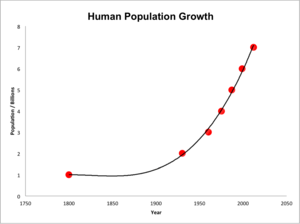 Human population planning is the practice of intentionally managing the rate of growth or decline of a human population. Historically human population planning has been implemented with the goal of increasing the rate of human population growth by reducing death rates. In the period from the 1950s to the 1980s, concerns about global population growth and its effects on poverty, environmental degradation and political stability led to efforts to reduce human population growth rates. While population planning can involve measures that improve people's lives by giving them greater control of their reproduction, a few programs, most notably the Chinese government's "one-child policy", have resorted to coercive measures. Reducing infant mortality so that parents do not increase their family size to ensure at least some survive to adulthood. The method(s) chosen can be strongly influenced by the religious and cultural beliefs of community members. The failure of other methods of population planning can lead to the use of abortion or infanticide as solutions. While a specific population planning practice may be legal/mandated in one country, it may be illegal or restricted in another, indicative of the controversy surrounding this topic. Ibn Khaldun, a famous North African Arab polymath (1332–1406), considered population changes to be connected to economic development, linking high birth rates and low death rates to times of economic upswing, and low birth rates and high death rates to economic downswing. Khaldoun concluded that high population density rather than high absolute population numbers were desirable to achieve more efficient division of labour and cheap administration. In the 1980s, tension grew between population planning advocates and women's health activists who advanced women's reproductive rights as part of a human rights-based approach. Growing opposition to the narrow population planning focus led to a significant change in population planning policies in the early 1990s. In his book The Ultimate Resource, economist Julian Simon argued that higher population density leads to more specialization and technological innovation, which in turn leads to a higher standard of living. He claimed that human beings are the ultimate resource since we possess "productive and inventive minds that help find creative solutions to man’s problems, thus leaving us better off over the long run". He also claimed that, "Our species is better off in just about every measurable material way." The Roman Catholic Church has opposed abortion, sterilization, and contraception as a general practice but especially in regard to population planning policies. Pope Benedict XVI has stated, "The extermination of millions of unborn children, in the name of the fight against poverty, actually constitutes the destruction of the poorest of all human beings." Population planning is usually associated with eugenics, which although most commonly thought of as the desire to eliminate undesirable inheritable traits from the populace (negative eugenics), it also refers to the encouragement of reproduction between individuals with positively viewed inheritable traits (positive eugenics). The most significant population planning system is China's one-child policy, in which, with various exceptions, having more than one child is discouraged. Unauthorized births are punished by fines, although there have also been allegations of illegal forced abortions and forced sterilization. As part of China's planned birth policy, (work) unit supervisors monitor the fertility of married women and may decide whose turn it is to have a baby. On October 29, 2015, the ruling Communist Party announced that all one-child policies would be abolished, allowing all couples to have two children. The change was needed to allow a better balance of male and female children, and to grow the young population to ease the problem of paying for the aging population. Iran has succeeded in sharply reducing its birth rate from the late 1980s to 2010. Mandatory contraceptive courses are required for both males and females before a marriage license can be obtained, and the government emphasized the benefits of smaller families and the use of contraception. This changed in 2012, when a major policy shift towards increasing birth rates and against population planning was announced. In 2014, permanent contraception and advertising of birth control are to be outlawed. In Myanmar, the Population planning Health Care Bill requires some parents to space each child three years apart. The measure is expected to be used against the persecuted Muslim Rohingyas minority. Singapore has undergone two major phases in its population planning: first to slow and reverse the baby boom in the Post-World War II era; then from the 1980s onwards to encourage couples to have more children as the birth rate had fallen below the replacement-level fertility. In addition, during the interim period, the eugenics policies were adopted. The anti-natalist policies flourished in the 1960s and 1970s: initiatives advocating small families were launched and developed into the Stop at Two programme, pushing for two-children families and promoting sterilisation. In 1984, the government announced the Graduate Mothers' Scheme, which favoured children of more well-educated mothers; the policy was however soon abandoned due to the outcry in the general election of the same year. Eventually, the government became pro-natalist in the late 1980s, marked by its Have Three or More plan in 1987. Enacted in 1970, Title X of the Public Health Service Act provides access to contraceptive services, supplies and information to those in need. Priority for services is given to people with low incomes. The Title X Family Planning program is administered through the Office of Population Affairs under the Office of Public Health and Science. It is directed by the Office of Family Planning. In 2007, Congress appropriated roughly $283 million for family planning under Title X, at least 90 percent of which was used for services in family planning clinics. Title X is a vital source of funding for family planning clinics throughout the nation, which provide reproductive health care. 1 2 Ryerson, William N. (2010). The Post Carbon Reader: Managing the 21st Century's Sustainability Crises, "Ch.12: Population: The Multiplier of Everything Else". Healdsburg, Calif.: Watershed Media. pp. 153–174. ISBN 978-0970950062. 1 2 3 Neurath, Paul (1994). From Malthus to the Club of Rome and Back. M.E. Sharpe. p. 7. ISBN 9781563244070. 1 2 Neurath, Paul (1994). From Malthus to the Club of Rome and Back. M.E. Sharpe. p. 6. ISBN 9781563244070. ↑ Neurath, Paul (1994). From Malthus to the Club of Rome and Back. M.E. Sharpe. pp. 6–7. ISBN 9781563244070. 1 2 3 Neurath, Paul (1994). From Malthus to the Club of Rome and Back. M.E. Sharpe. p. 8. ISBN 9781563244070. 1 2 Neurath, Paul (1994). From Malthus to the Club of Rome and Back. M.E. Sharpe. p. 10. ISBN 9781563244070. 1 2 3 4 Neurath, Paul (1994). From Malthus to the Club of Rome and Back. M.E. Sharpe. p. 9. ISBN 9781563244070. ↑ Neurath, Paul (1994). From Malthus to the Club of Rome and Back. M.E. Sharpe. pp. 10–11. ISBN 9781563244070. 1 2 Rosenberg, M. (2007, September 09)3-2. Thomas Malthus on Population. Retrieved June 20, 2009, from About.com "Geography Web site"
1 2 Knudsen, Lara (2006). Reproductive Rights in a Global Context. Vanderbilt University Press. pp. 2–3. ISBN 9780826515285. ↑ Knudsen, Lara (2006). Reproductive Rights in a Global Context. Vanderbilt University Press. p. 3. ISBN 9780826515285. 1 2 Knudsen, Lara (2006). Reproductive Rights in a Global Context. Vanderbilt University Press. p. 3. ISBN 9780826515285. ↑ Knudsen, Lara (2006). Reproductive Rights in a Global Context. Vanderbilt University Press. pp. 3–4. ISBN 9780826515285. ↑ Bradshaw, Corey J. A. (2014). 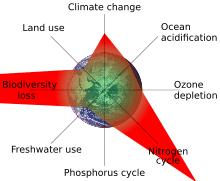 "Human population reduction is not a quick fix for environmental problems". Proceedings of the National Academy of Sciences of the United States of America. 111 (46): 16610–16615. doi:10.1073/pnas.1410465111. Retrieved May 8, 2016. ↑ Spears, Dean. "Smaller human population in 2100 could importantly reduce the risk of climate catastrophe". Proceedings of the National Academy of Sciences of the United States of America. 112 (18). doi:10.1073/pnas.1501763112. Retrieved May 8, 2016. ↑ McGrath, Matt (October 27, 2014). "Population controls 'will not solve environment issues'". BBC. Retrieved May 8, 2016. 1 2 Whaley Eager, Paige (2004). 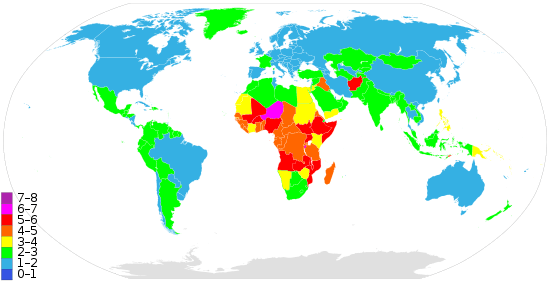 Global Population Policy. Ashgate Publishing. p. 36. ISBN 9780754641629. ↑ Whaley Eager, Paige (2004). Global Population Policy. Ashgate Publishing. p. 37. ISBN 9780754641629. ↑ Knudsen, Lara (2006). Reproductive Rights in a Global Context. Vanderbilt University Press. p. 2. ISBN 9780826515285. ↑ Knudsen, Lara (2006). Reproductive Rights in a Global Context. Vanderbilt University Press. pp. 4–5. ISBN 9780826515285. ↑ Abbott, Charles (August 4, 2009). "Pricetag to raise a child -- $291,570, says U.S". Reuters. ↑ Leake, Jonathan (August 3, 2003). "Attenborough cut population by half". The Times. London. ↑ Schwarz, Walter (September 1, 2004). "Crowd control". The Guardian. London. ↑ "Has China's one-child policy worked?". BBC News. September 20, 2007. ↑ "Why China's Second-Baby Boom Might Not Happen". Bloomberg. ↑ "Myanmar president signs off on contested population law". London: Associated Press via Daily Mail). 24 May 2015. ↑ "Rohingyas: Still in peril: Myanmar's repression of Rohingyas continues apace". The Economist. SINGAPORE. 6 June 2015. Retrieved 7 June 2015. This measure grants local authorities the power to mandate that mothers in areas deemed to have high rates of population growth have children no fewer than three years apart. Buddhist chauvinists in Myanmar have fomented fears of high birth rates among Muslims; this measure is likely to be used against Rohingyas. ↑ "Singapore: Population Control Policies". Library of Congress Country Studies (1989). Library of Congress. Retrieved 11 August 2011. ↑ Sonfield A, Alrich C and Gold RB, Public funding for family planning(in terms of children per family), sterilization and abortion services, FY 1980–2006, Occasional Report, New York: Guttmacher Institute, 2008, No. 38.